This handmade bookmark is silver tone metal and from the top dangles a long, linear cluster with each link wire wrapped by hand. 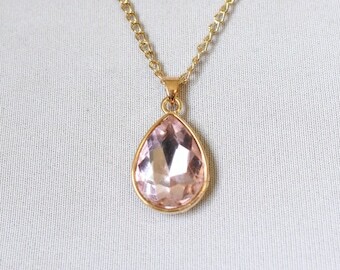 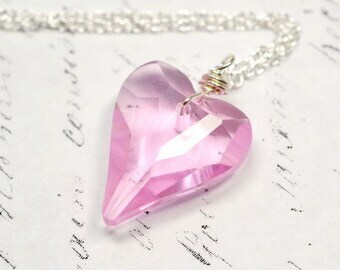 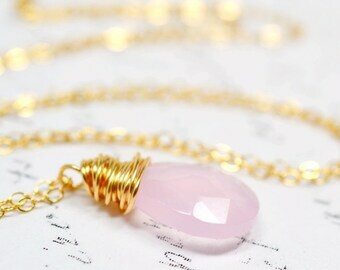 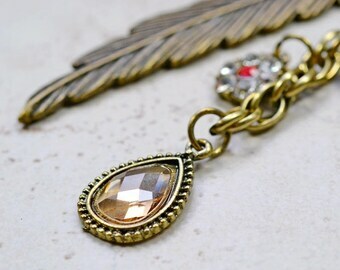 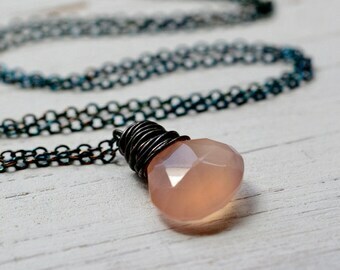 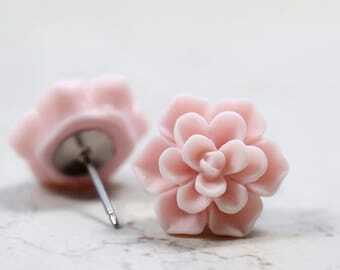 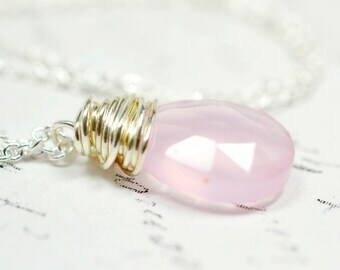 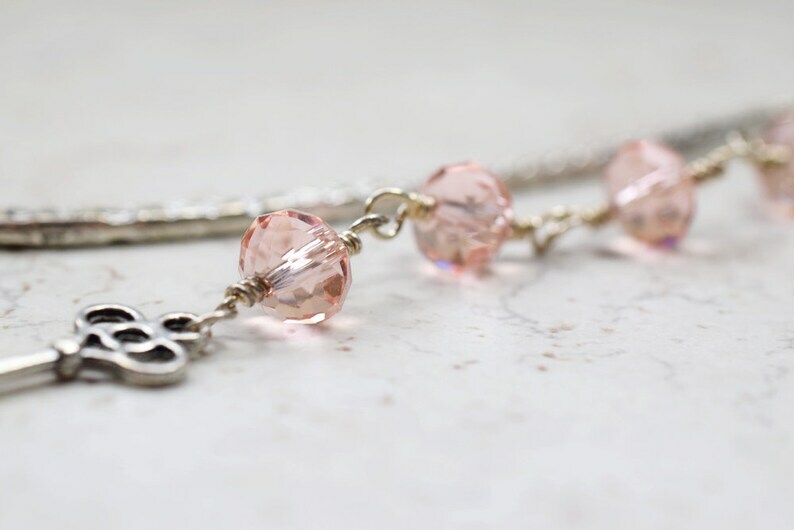 It includes faceted peachy pink crystals and a silver skeleton key charm. 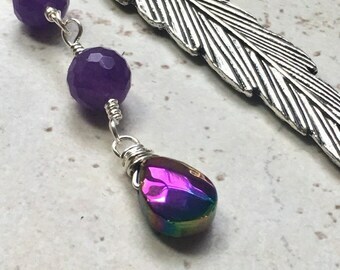 Bookmark is about 4 inches long from top to the bottom of the dangle.